ValproMic is a collaboration between Agristo, Clarebout and Avecom. 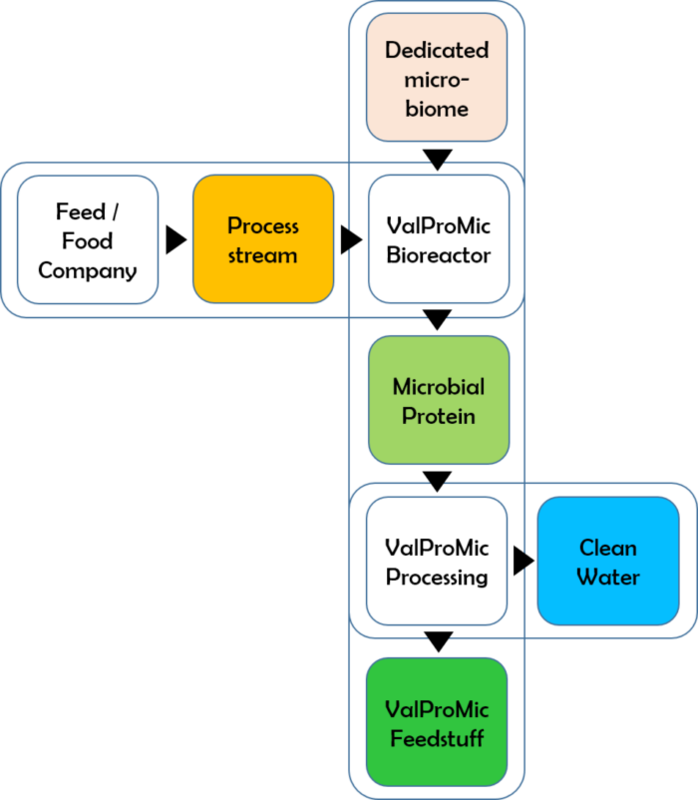 ValProMic wants to supply a solution for Food processing companies, in which diluted process streams which are otherwise lost or even a cost, are upgraded to microbial protein. Diluted process streams of food procesing companies which are now often a cost, are upgraded by means of a patented aerobic fermentation process. The protein rich endproduct is suitable as protein source in e.g. pig feed. With this process and product, ValProMic wants to offer a sustainable, affordable and locally produced alternative for protein feed which is now either unsustainable produced or limited in supply.